Sue Lawley's castaway is interior designer Sir Terence Conran. 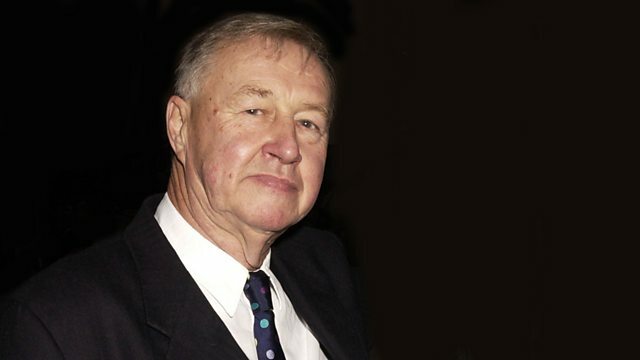 The castaway in Desert Island Discs this week is the designer and entrepreneur Terence Conran. He first came to fame with the Habitat store which introduced British shoppers to consumer delights like the chicken brick and the duvet. Now considered one of the country's most successful restaurateurs - he currently owns seven restaurants and is involved in designing another 17 - he'll be talking to Sue Lawley about his original foray into the restaurant world. His first venture was called The Soup Kitchen - and, misled by its name, attracted all the local tramps on its opening night. He'll also be describing how Picasso bought one of the first chairs he designed. Finally, he'll be talking about how, after a somewhat tumultuous personal life, he now feels he has achieved some sort of equanimity. Pachelbel: Canon Und Gigue U.A.. Performer: Roy Goodman. Choir: Choir of King’s College, Cambridge. Conductor: Sir David Willcocks. Noel Coward And Gertrude Lawrence. The Roots Of Reggae - Various Artists. Keith Jarrett - The Koln Concert.